Harry & Chick. 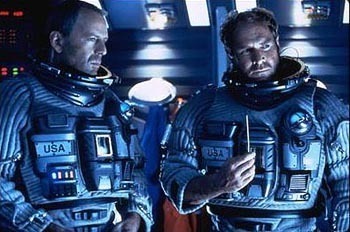 Bruce Willis as Harry Stamper & Will Patton as Chick in Armageddon. Wallpaper and background images in the Armageddon club tagged: armageddon still image 1998 bruce willis harry stamper will patton chick charles chapple. This Armageddon photo might contain কাঁধ প্যাড.